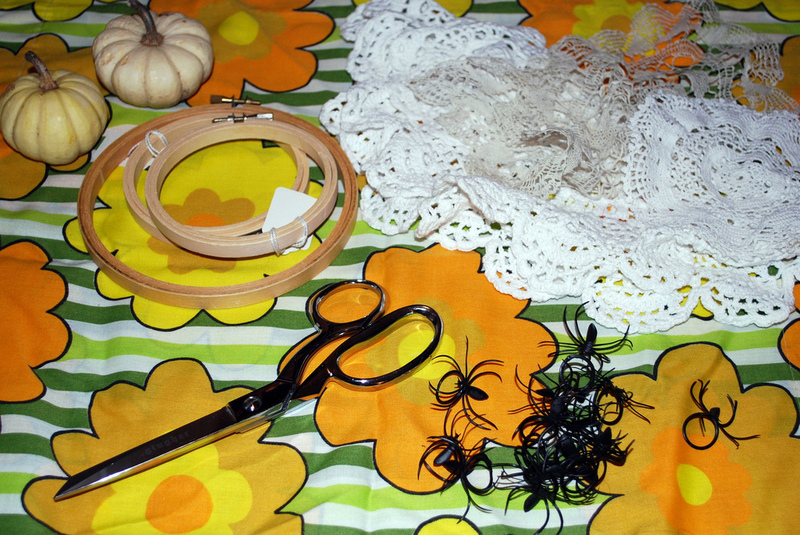 a shine machine: A Halloween Decor DIY! Im not one to go all out decorating my house for Halloween. I wanted to makes something cute that I could use for Halloween and after Halloween as well. I decided to put a little DIY together for all of you. It is soooo cute and sooo super easy! 2. Choose a doily that is slightly bigger than your embroidery hoop and close it in :) Make sure it's super tight! 3. 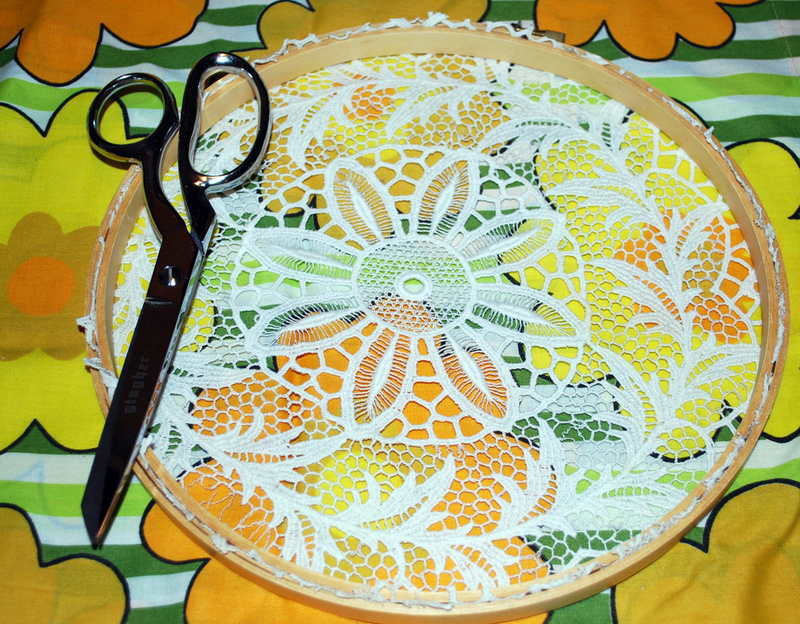 Cut off any hang over from the doily with your shears! 4. 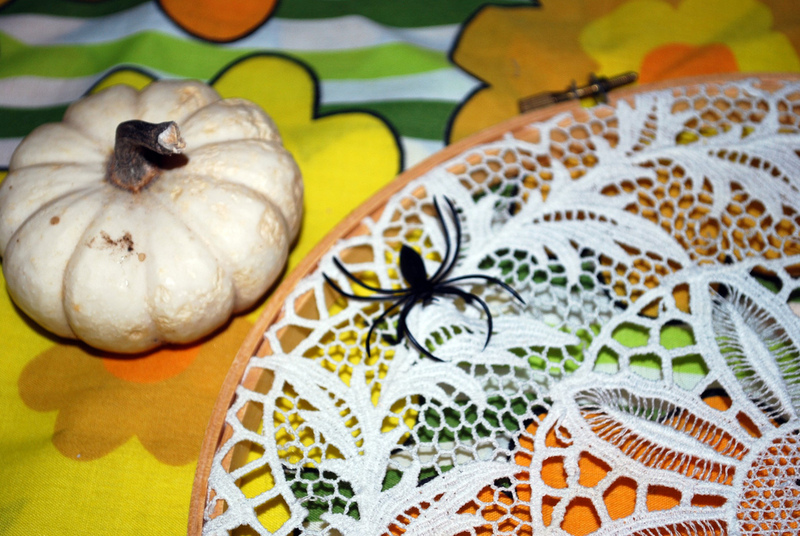 Check out your cute spider web!! Now, add your plastic spider! Use the ring to secure it the web. 5. Adorable right?!! Hang it up and enjoy! 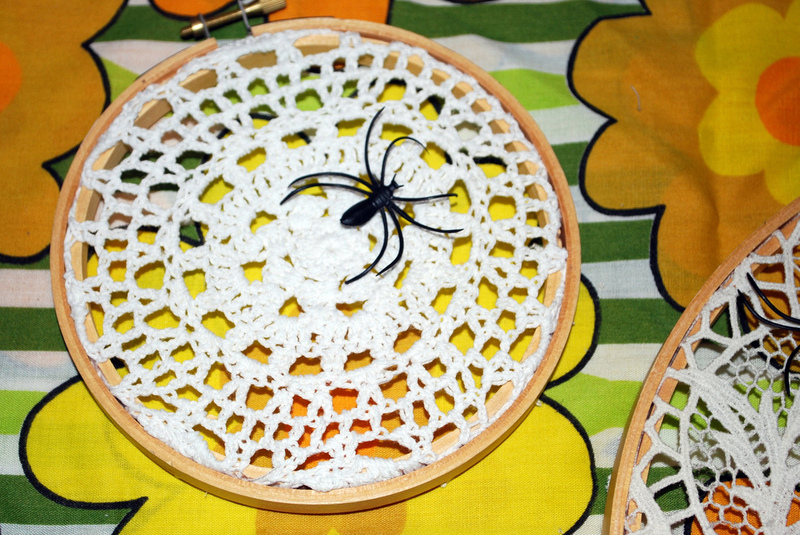 The best part is you can detach the spider and keep them up all year!! too adorable and simple to do! Fun for Halloween! That is so cute Janel! I love it. wow, what a great idea!!!! I think I will try it if I can get my hand on some of those spiders! I love this idea!! Very quick, easy and cute!! I love this idea! so much! cute and cheap adorable idea! Love this idea! I'm thinking it would be cute to hang different little things on the doilies, rotating them along with the seasons. Super amazing idea. 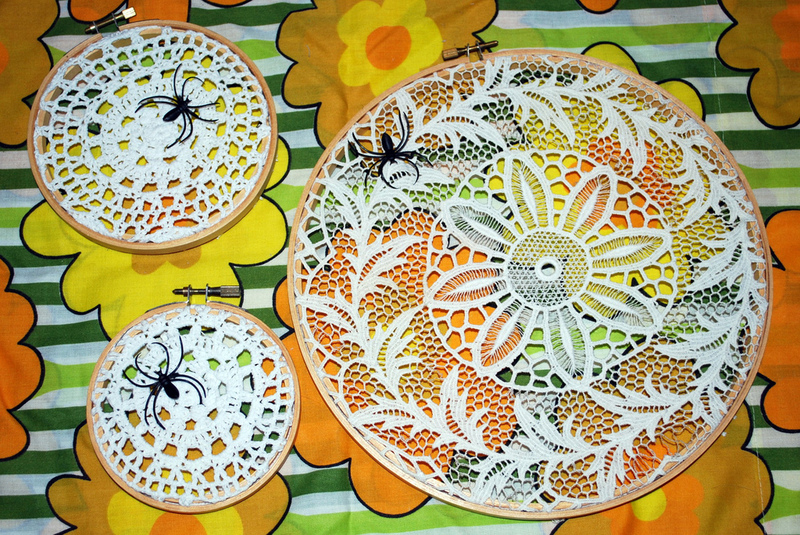 I just have to find doilies and hoops and spider rings. 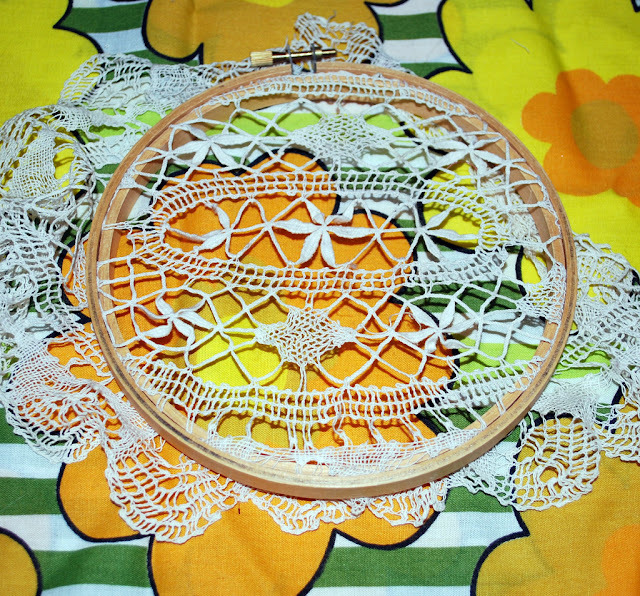 Where does one purchase doilies? 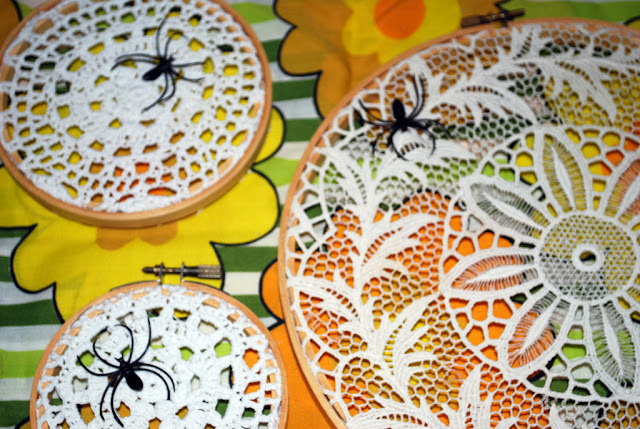 I hate spiders but these are cute for halloween!!! This is so awesome! Spooky doilies! I love it Janel!